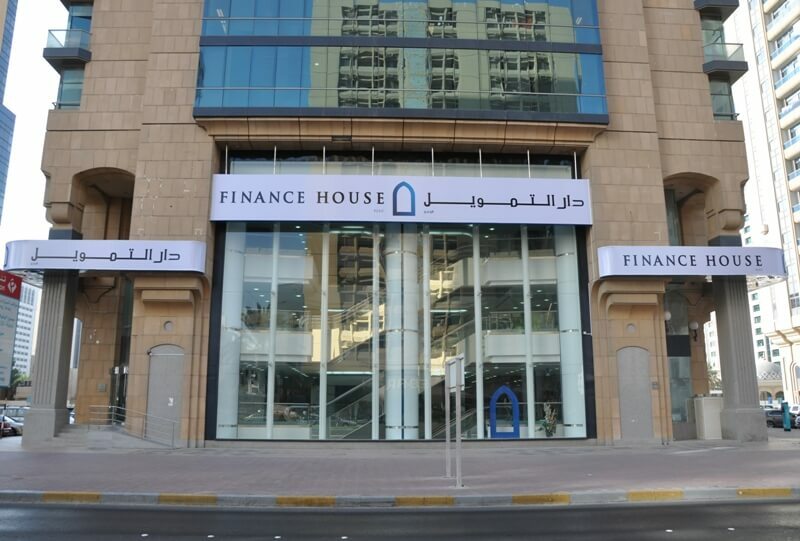 Abu Dhabi, 11 February, 2013 - Finance House P.J.S.C (FH) has reported a consolidated FH Group net profit of AED 72.2 million for the year ended 31 December 2012, which is 20.4% higher than the net profit of AED 60 million achieved in the previous year. Total Assets grew to AED 3.72 billion, registering a steady increase of 6% over AED 3.51 billion as at 31 December 2011. The Board has recommended a cash dividend of 20% subject to regulatory approvals. Commenting on FH Group results, Mohammed Abdulla Alqubaisi, Chairman of Finance House said: “Despite challenging market conditions and a tighter regulatory framework, we are proud to maintain our profitable stance for the eighth successive year since inception. For a genuine private sector enterprise operating in the fiercely competitive UAE financial services sector, this is a creditable achievement indeed”. During the year, Customer deposits grew by a robust 16.5% to reach AED 1.80 billion compared to AED 1.55 billion as at the end of the previous year. “This is a remarkable achievement and bears testimony to the continued confidence that the market places in Finance House”, Alqubaisi added. Net Interest Income from core business activities grew by 1.6% to AED 122.2 million in 2012 compared to AED 120.3 million in 2011. Despite robust growth in loan book during the year, increase in net interest income was only marginal, mainly due to lower interest earned on inter-bank placements where interest rates remained subdued throughout 2012 in comparison to 2011. Net Fee and Commission income from core business activities registered a healthy growth of over 21%, increasing to AED 28.9 million in 2012 from AED 23.8 million in 2011. Loans & Advances as at 31 December 2012 grew by 14% to AED 1.38 billion compared to AED 1.21 billion at the end of the previous year. At the same time, Islamic financing and investing assets also registered a healthy growth of over 13.7% to reach AED 78.3 million as at 31 December 2012. “Our Loans to Deposits ratio as of 31 December 2012 stood at a healthy 80.8% compared to 82.5% in the previous year, reflecting both our cautious approach to loan book growth and the significant head room available for sustained loan book growth in 2013 and beyond”, continued Alqubaisi. The Group’s bad debt provisioning policy continues to be conservative and as of 31 December 2012, it maintains loan loss coverage of 81% (2011:74%) by way of specific provisions to cover net exposure against individually impaired loans and loan balances that are past due for 91 days or more but are not impaired. In addition to the above, collective provision of 1.25% of the Performing Portfolio is also maintained. The Group’s well diversified proprietary investment portfolio has also made a significant positive contribution to boost the Group bottom line in 2012. Total operating expenses were higher in 2012 compared to 2011 mainly on account of hiring new employees and higher establishment costs, in line with increased business volumes across all business segments. Despite higher operating expenses, the Cost/Income ratio improved by 4.5% in 2012 compared to 2011. Commenting on its Liquidity position, Alqubaisi stated: “FH Group continues to manage its liquidity in a prudent manner. Since the onset of the financial crisis in October 2008, we have remained net lenders to the UAE inter-bank market and continue to maintain this position till date. Cash and cash equivalents as at 31 December 2012 stood at AED 599 million compared to AED 526 million as at the end of the previous year, representing a healthy 16% of Total Assets”. Shareholders’ equity as at 31 December 2012 improved to AED 651 million and the Capital adequacy ratio stood at a robust 26.6%, providing a solid footing for accelerated future growth. Looking ahead, Alqubaisi concluded: “We look forward to 2013 with renewed optimism for sustained profitable growth, in line with improving economic conditions- locally and globally. Our strategy is sound and we have the necessary mechanisms and structures in place to exploit profitable opportunities, to adapt quickly to changing market conditions, to continue managing risks well and to maximize returns for our shareholders”.